Did I not promise you that this year was full of new surprises? I’m back today with a new series that I am sure you will all love…The Queen Critique. 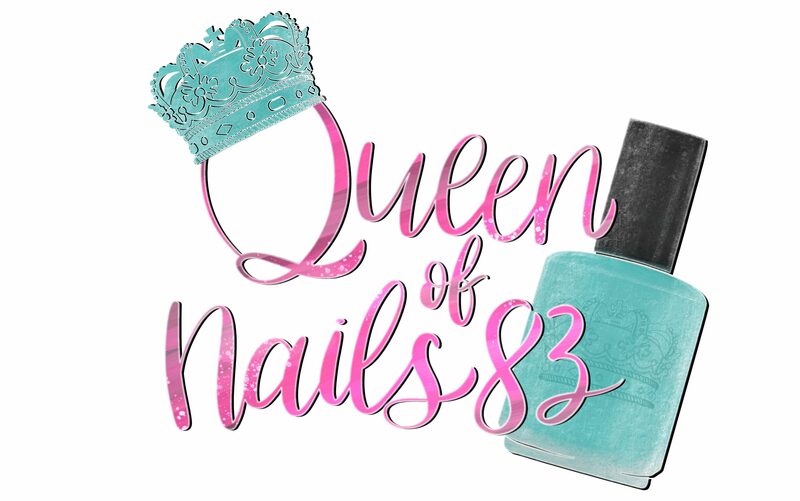 This series will focus on reviews of non-polish nail products. I currently have this series scheduled for once a month, but we’ll see how things go because I have products lined up through July…lol. First up, starting us off are products from a brand that I’ve eyeballed since their initial release, I’m talking about It Girl Nail Art. This brand was created by Nicole Bivins who will be stopping by later this month for an Up Close and Personal Interview. Anywho, Nicole was very kind to send me a few products to try out and they are amazing. But don’t take my word for it, let me show you…. This mini plate measures 2.6 x 1.9 inches (6 x 9 cm) and packs a gorgeous punch with well etched images as shown below. 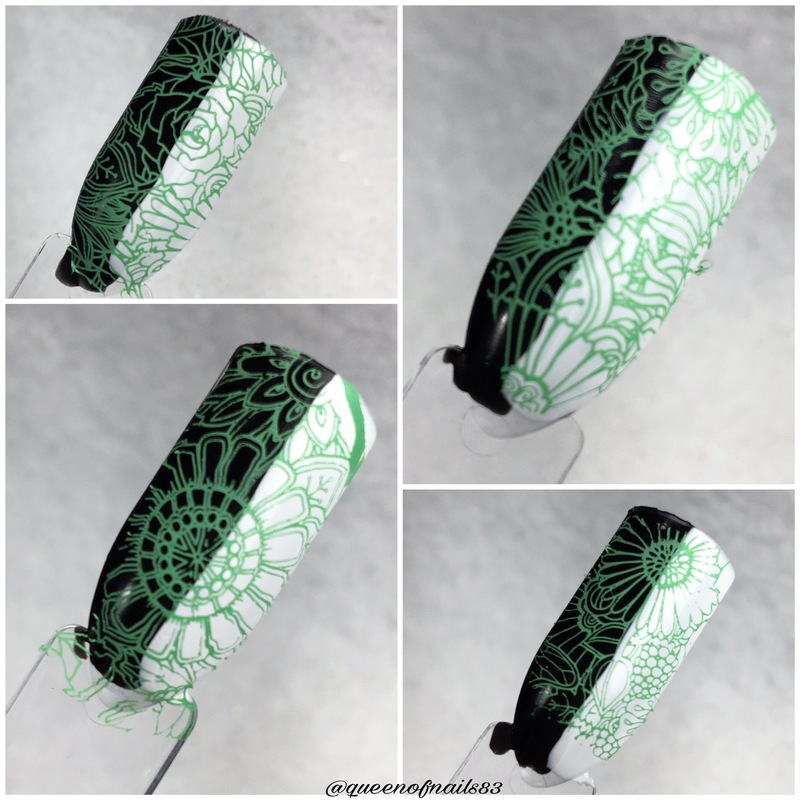 The stamping polish, Spearmint, is a amaze-balls!!! The color is rich, vibrant and perfectly opaque over white and black. Holy sweetness!!! I think I have found the holy grail of cuticle oil. Let me try to explain the amazingness that is Lemon Sweet Tea. Literally the day I received my package, I messaged Nicole to tell her how much I love the cuticle oil. Scent: Thee best!! Lemon Sweet Tea is long-lasting and you can smell the sweet tea with subtle accents of lemon! Overall: I will definitely be adding more of everything to my collection. More plates, stamping polish and Lemon Sweet Tea. I love the full plate image and how well etched it is, making for easy pick up and transfer. As for the cuticle oil, I’ve used this oil since receiving it and I have noticed that the small cut on my right index finger cuticle has completely healed and the overall health and appearance of my cuticles and nails is much better. I’m not sure if I’ll ever try another scent honestly, because I’m currently obsessed with Lemon Sweet Tea. Who’s tried It Girl Nail Art before, what do you recommend I try next? If you haven’t tried this brand but want to, what’s on your wishlist? Her new plates are adorable!! Cute plate. The oil sounds awesome. Oh wow, I’m so impressed by the polish! I’ve never tried this brand but I super love that stamping polish! !